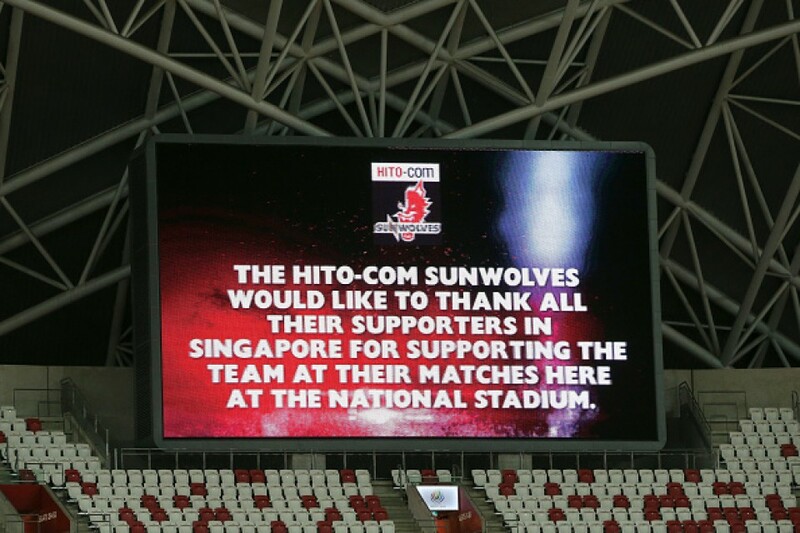 Hard done by off the field with the news that they have been cut from Super Rugby following the 2020 season, the Sunwolves were not exactly treated fairly on the field either as they fell 37-24 Saturday to the Lions at Singapore National Stadium. For the second week running, Tony Brown's side incurred the wrath of referee Damon Murphy, getting penalized 12 times to the Johannesburg-based team's six, a week after they had endured an 11-4 penalty count against the official's hometown Reds side. Add in the 15 penalties they gave away in Auckland against the Blues two weeks ago (to just three by the home side) and there are two conclusions to be made. Either the Sunwolves are the most undisciplined side in Super Rugby or they are not getting a fair rub of the green. While some of the penalties on Saturday were the result of nothing more than stupidity -- on at least three occasions Sunwolves were guilty of not releasing the ball in the tackle -- it seems more than a few fans were in agreement with Brown, who said at halftime he felt his side were getting treated differently. One experienced test player watching the game felt Murphy was out of his depth, while there were numerous comments on social media expressing their displeasure at what they were watching. "Sunwolves definitely no[t] the referee's favorite team. Heavily favors the Lions team," one user wrote on Twitter. 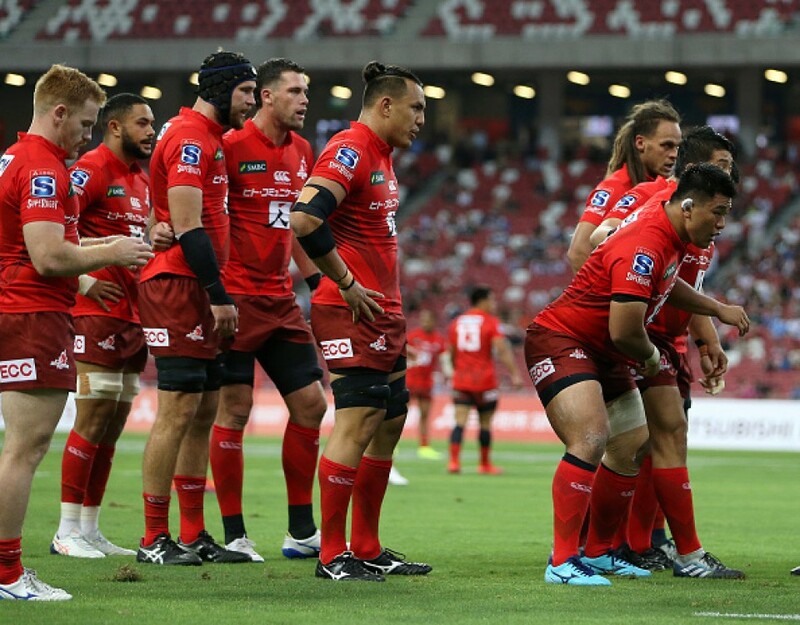 "Lions playing like individuals, Sunwolves making too many basic mistakes, once again a very poor referee, not exactly a rugby spectacle this," wrote another. A third said, "So hard to watch Sunwolves. The refs are a joke against them. Absolute text book turnover pings them. Lions allowed multiple plays after he calls leave it." Brown for his part tried to put on a brave face after the game, saying, "We were getting hammered at the breakdown and scrums. Not much changed in the second half, so we need to have to look at what we do at the breakdown and try to improve that area. They had a very good scrum and they had us under pressure." Prop Koo Ji Won, who had what appeared to be a good try disallowed early on, admitted the pack had been guilty at times of not working together as an eight. But one cannot help feeling that concerns the Sunwolves have expressed on numerous occasions -- namely, they seem to get more rookie referees than any other side -- are valid. Of course, that will no longer apply post 2020 as the result of Friday's news from tournament organizer SANZAAR. Brown and game captain Dan Pryor both said the team had not been affected by the decision and that they had been focused totally on the game. "While the news is devastating...we've got a goal and the boys are here to achieve that goal," Pryor said. A goal that according to Brown is to win every game. "We believe we have a team that can win every game and that's the way we plan, prepare and play." But with so many decisions going against them, on and off the field, the players seemed distracted and were unable to make the most of the opportunities that did come their way, aside from two late tries by the impressive Rahboni Warren-Vosayaco and an early penalty try. "We had our chances but made too many little mistakes," rued Pryor. The Lions, on the other hand, made no such mistakes crossing the chalk on six occasions, with captain Malcolm Marx leading by example. The South African international showed why he is one of the best hookers in the world with a commanding performance in both attack and defense, scoring two tries and repeatedly forcing turnovers. And he said the Sunwolves would be sorely missed when they depart Super Rugby. "You can see the exciting brand of rugby that they play. Look where they started and where they are now and how well they play. They're a quality side and it's actually very sad." For Brown and his side, the challenge is to try and continue as if nothing has changed, beginning next week in Newcastle, Australia, where they take on the Waratahs. "We will go out there and try to win that game and then we look to the next week, and we look to the next week and we look to the next week," he said. And they will do so, Pryor said, on behalf of the fans and all the players that have represented the side. "The jersey means a lot to the boys. The culture that the Sunwolves have is very rare. The boys love playing for the jersey."